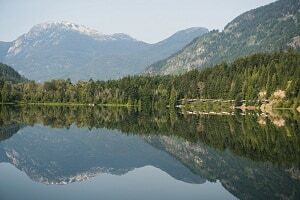 The Rainforest to Gold Rush Explorer includes a night in Vancouver before you embark on the Rocky Mountaineer to Whistler, site of the 2010 Winter Olympics. When you reach Jasper, you’ll have a full day to explore Jasper. After your second night in Jasper, enjoy guided motor coach tours of the Columbia Icefield, the Athabasca Glacier, Yoho National Park and Banff. 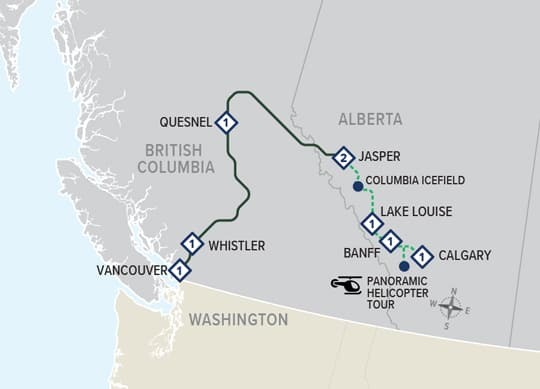 A helicopter flightseeing tour is included on your journey between Banff and Calgary. In 2019 this package is renamed to the Rainforest to Gold Rush Explorer. In 2017 this package was called the Northern Explorer. Prices depend on when you travel, number of travelers, train service you choose, extras you add and the hotels you choose. They also depend on promotions available when you book.